﻿ Hilton Beijing Capital Airport (China) | FROM $131 - SAVE ON AGODA! "This is a good place to sleep." Have a question for Hilton Beijing Capital Airport? "Beautifully presented hotel and room." "Kudos to staff, who were excellent"
Being a one minute shuttle bus ride away from Beijing Airport Rail Link and Terminal 3, this luxurious property is the ideal location for travelers to rest before venturing or departing from Beijing. 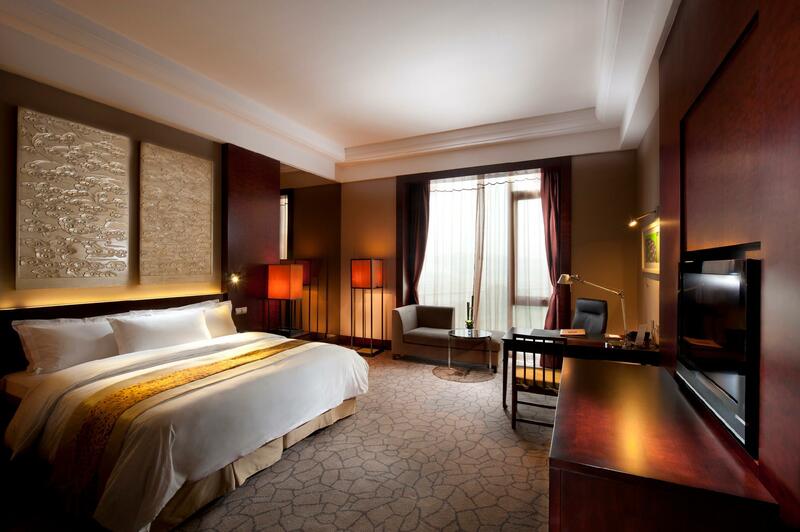 Under the management of the world famous Hilton group, Hilton Beijing Capital Airport offers excellent room accommodations and attentive, caring services. Each room is set with tranquil decor and fully prepared with superior amenities. The high-tech conference rooms are an excellent venue for corporal meetings and other business transactions. The property is well experienced in organizing special events such as weddings. 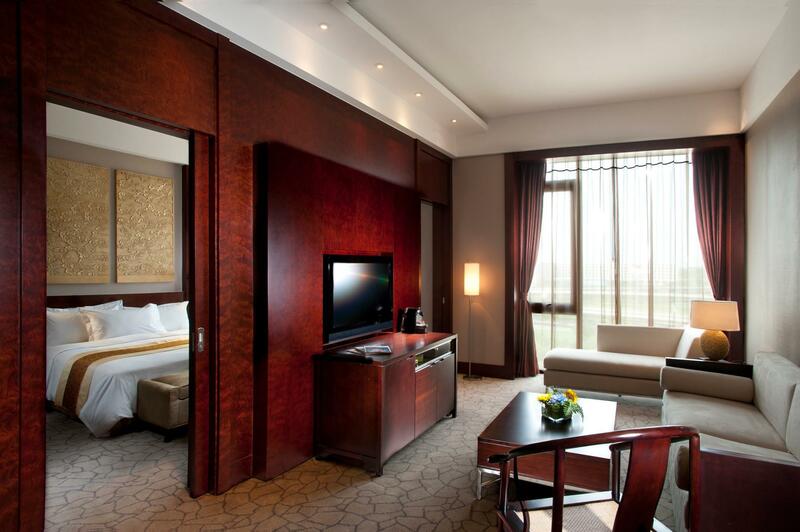 Hilton Beijing Capital Airport ensures a memorable holiday while staying in China’s capital city. "Great airport hotel with friendly staff and large rooms." Smoking is only allowed in designated areas. Guests smoking elsewhere are responsible for all costs, damages, and liabilities caused by smoking. The ride place for shuttle bus in the airport was complicated. Go outside and check the number of the entrance . The place is in front of No. 5 entrance and cross the road. We arrived at hotel so they allowed us to extend the checkout time. Very kind. Excellent situated - shuttle waiting even at 2 o'clock in the night with a sign with my name. Room was ready - key card ready and they even said we can register you in the morning. Executive level definitely worth the extra. You feel more then welcome. Not first time but for sure also not last time. My room was jaw droppingly amazing. The hotel is enormous. However, I stayed their alone in the winter and there were hardly any guests there. I found the experience a little creepy. The breakfast restaurant experience was like something out of the Cold War 70s - far too many staff with not enough to do and nothing for me to read/view/engage in. This is not the staff's fault. The location is ridiculously close to the airport, there is a coach that arrives and leaves on-time (I arrived at around 3am). Since I intend to go to the Mutianyu great wall afterwards, an airport hotel is around an hour's drive to Mutianyu so it's the perfect choice. I have been deprived of sleep due to frequent traveling. I checked in and slept at probably one of the softest beds I've ever slept on. The room is spacious, the bath tub works well, the toilet bowl has a strong flush, and the hot shower warms up real quick. And the shampoo, soap -- smell so good. The breakfast is also good though there wasn't much of a variety and I can't recall anything remarkable about it. The afternoon tea served soft croissants and danishes, the cinnamon rolls are great. The frontdesk and the concierge were very helpful with my concerns. But the one over at the Executive Lounge, Candy, was the most amazing. You get that feeling where she is very happy with what she is doing and in turn would tend to go out of her way just to assist you. I really felt welcome and special with her arranging everything for me. And you know that she listens really well. She can remember even the details of the stories you tell her! Overall I had an excellent stay and will not think twice about booking this hotel again, budget permitting! Staff at Lobby Cafe could be more attentive. We asked for hot water (instead of coffee or tea) but weren't served the entire breakfast seating. Clean and quiet - welcome after long haul flights. Close proximity to T3 so ideal for transit stops avoiding traffic into city. The free shuttle bus leaves every half hour from the international airport terminal. The hotel helped with directions via email before I left. Beautifully presented hotel and room. It's smart to stay close to the airport if you need to catch early flights. We arrived in Beijing very late that night because the flight was delayed, and we need to take another one in the other morning to US. Thanks for the location of Hilton Beijing Capital Airport Hotel, saving us lots of time and avoiding traffic. The best thing about this hotel is the location, especially when your airline takes off from Terminal 3. One thing I do not like is their wifi service costs about $20 per day, that's crazy! There are two other 5-star hotels around Beijing capital airport, you better look into them as well if you would stay close to the airport and use Internet. Location. Free airport transfer. Friendly staffs. Booked 2 individual rooms but got upgraded upon check in! Location was very near to the airport and that's juz what we needed for our short stay to attend an event at the expo which was also quite near. Highly recommended for business travellers who are there for short stay and are heading to the expo. Spacious room. Free Airport transfer. Friendly staffs. 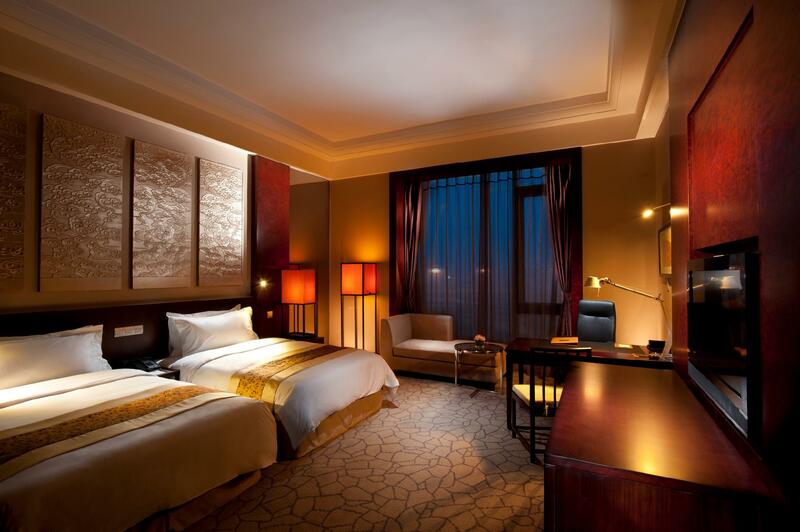 The hotel is with walking distance from Beijing Airport Terminal 3. But hotel still have shuttle bus between T3 and hotel. Hotel is clean, good equipment and comfort room as other Hilton. But the room service food is really bad. The service is ok. But the price is expensive and the taste is really bad, not worse to a 5 star hotel. This is the perfect hotel for travelers transiting through Beijing. It is at least 30 minutes from downtown, but just a mere 3 minute ride from any of the airport terminals. A convenient airport shuttle runs every 30 minutes. Room and public areas had high ceilings. No in-room free wifi which was disappointing. This hotel was closest to the meeting venue so it served its purpose being accessible. Would definitely stay here again. Rooms are spacious and food is great with a lot of choices. Flights get delayed or canceled in Beijing. This is a good place to sleep. Sound proof windows. Good bathtub.